Around a third of workers could drop out of Government plans to automatically enrol them into a pension, research from the National Association of Pension Funds (NAPF) has suggested. The survey found that 27% of people thought it unlikely they would remain in the auto-enrolment schemes due to start next year, while 57% said it was likely and 16% were unsure. NAPF believes a significant proportion of those who were undecided would also choose to opt out, bringing the total figure to around a third. Asked why they would opt out, nearly half (48%) cannot afford the contributions, while 29% do not trust the Government and 26% do not trust the pensions industry. Researchers found 80% of people want greater transparency about how pensions work and what they cost. 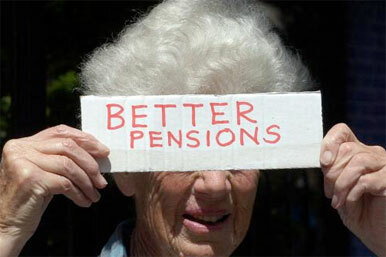 Joanne Segars, NAPF chief executive, said: "People are wary of pensions and that's a big threat to auto-enrolment. "We're alarmed that so many say they'll reject the new deal, and the picture has got worse since the recession. Our society is sleepwalking into a crisis because it isn't saving enough for its old age, and auto-enrolment is meant to be a big wake-up call. "But there's no point in bringing people into a pension if their savings are going to be eaten away by fees and charges which they can't understand. They'll simply walk away. "The pensions industry has to be much more up front about what it is doing. People need information about their pension in a form they understand. That means pounds and pence, not basis points and unit prices." A Department for Work and Pensions spokeswoman said: "Automatic enrolment will give up to 10 million people the chance to save in a workplace pension with an employer contribution, many for the first time, and help them ensure a more comfortable retirement. "Our robust research shows that most workers expect to remain opted in, with around half saying they will contribute more than the minimum contribution amount."